There are exciting things brewing for the province’s largest craft brewer. 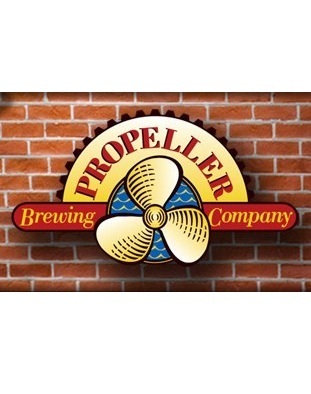 Propeller Brewing Company will be making a big move this year, but they will not be going too far. It was announced on Tuesday that the local craft brewery is expanding its operations across Halifax Harbour. The brewery, launched in 1997 by John Allen, has outgrown its Gottingen Street location after six consecutive years of double-digit growth. This expansion is necessary both to keep up with current demand and to provide capacity for projected long-term growth. Scheduled to open in the Spring of 2013, the new brewery located at 617 Windmill Rd. Dartmouth Nova Scotia will feature an expanded production facility for bottles and draft beer, as well as a second retail store to better serve the craft beer consumer. The expansion, including a new 30 barrel brew-house and two 120 barrel fermentation vessels will enable the brewery to increase from its current 8200 hectolitre annual production to 12,000 hectolitres in the coming years. Propeller Brewing Company currently employs 22 full and part time staff working out of its facility on Gottingen St. Halifax, Nova Scotia. The company expects to hire five to 10 more employees when the new facility is completed. The current location at 2015 Gottingen St will stay open with its retail store and will still serve as a functioning brewery focusing on one-off and special release brews.